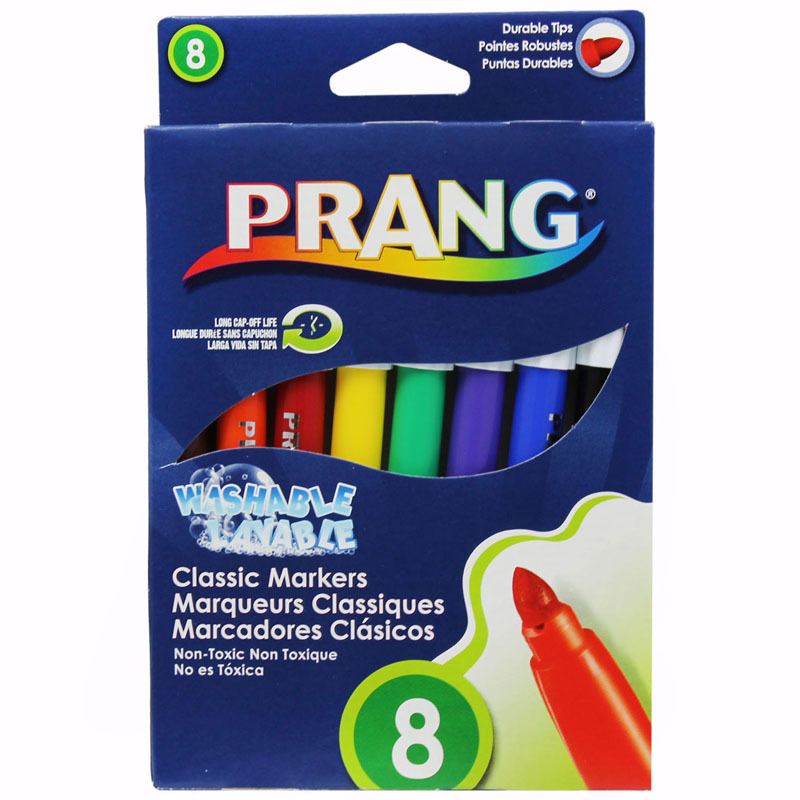 Prang® Washable Art Markers deliver bright colors without the mess. Washable formula easily washes off skin and most fabrics. Features a durable bullet tip for fine and broad lines. Inks won't bleed through and won't dry out even if the cap is left off for over 24 hours! Ventilated cap ensures safety. AP certified non-toxic. Conforms to ASTM standards. 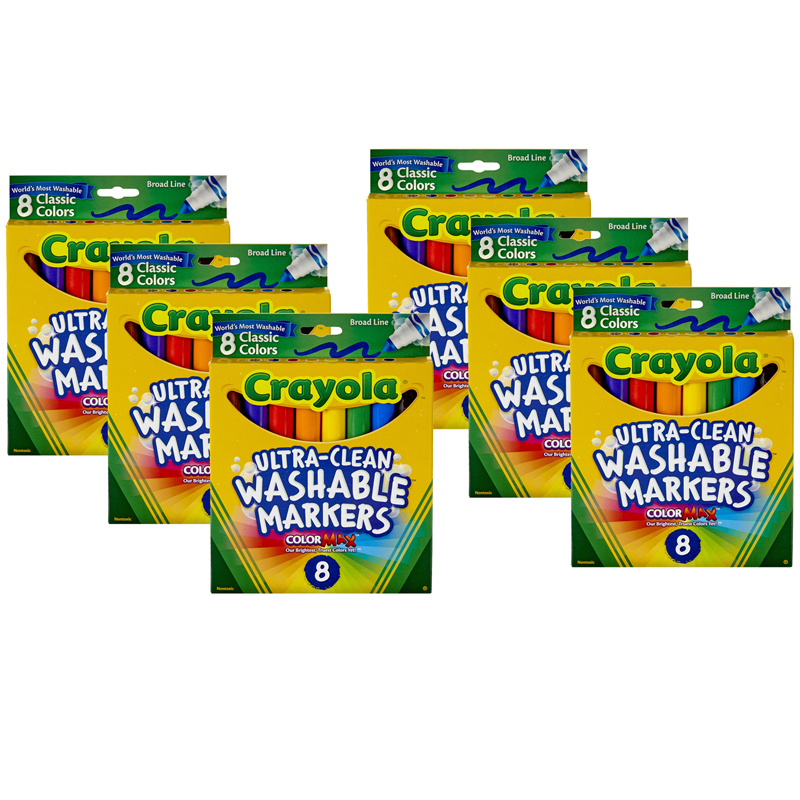 Each pack includes 8 markers with a bullet tip. Sold as 6 packs for a total of 48 markers. 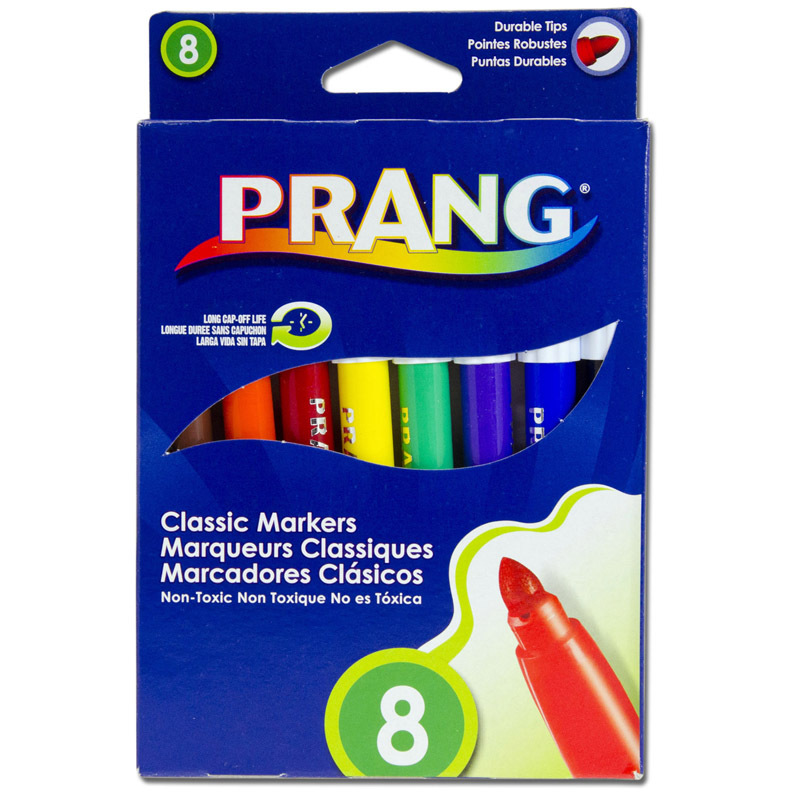 The (6 Bx) Prang Washable Markersconical Point can be found in our Markers product category within the Arts & Crafts.